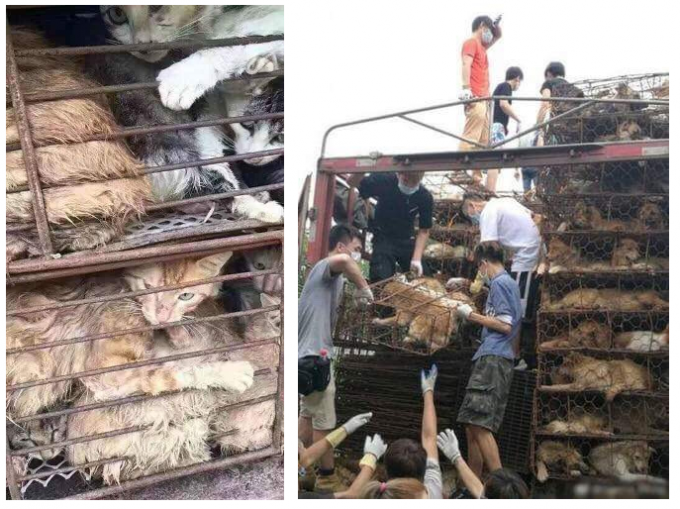 Over the past month, more than 1,600 dogs and cats on trucks bound for slaughter have been seized by Chinese activists. In Zhengzhou, the provincial capital of Henan Province in east-central China, a truck was intercepted carrying over 600 dogs. 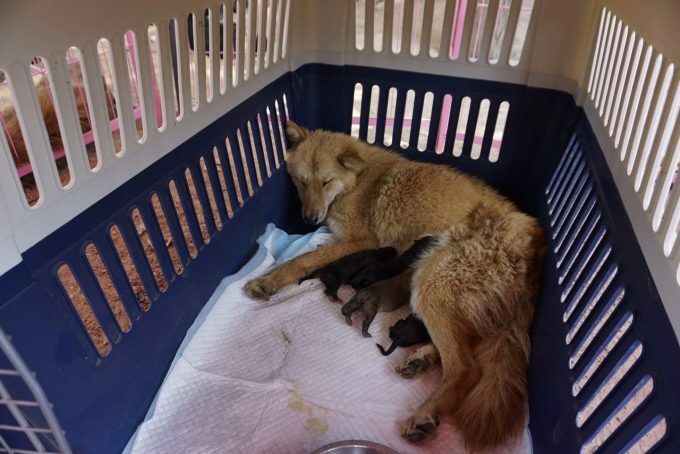 Volunteers ambushed the vehicle and unloaded cages of terrified dogs in cooperation with local law enforcement. A makeshift shelter was quickly constructed. 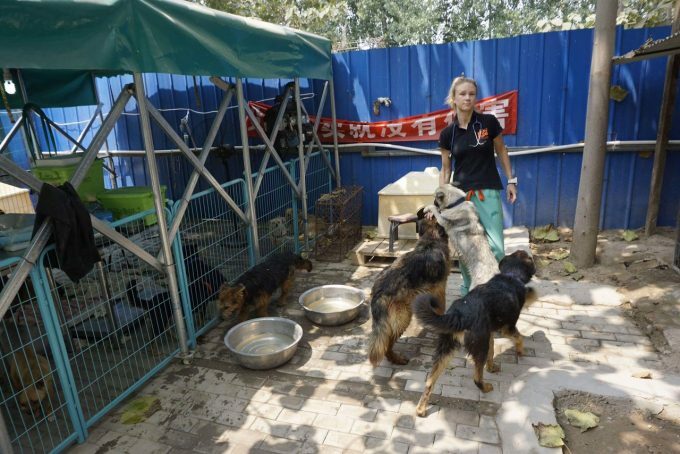 Several weeks later, another rescue involving 1,000 dogs occurred in Guangzhou, a city over 900 miles from the temporary shelter in Henan Province. There was high mortality among rescued dogs, primarily due to the barbaric transport process and spread of infectious disease. No Dogs Left Behind, a charity focused on providing care to intercepted dogs and cats, mobilized to facilitate rescue and sheltering efforts. 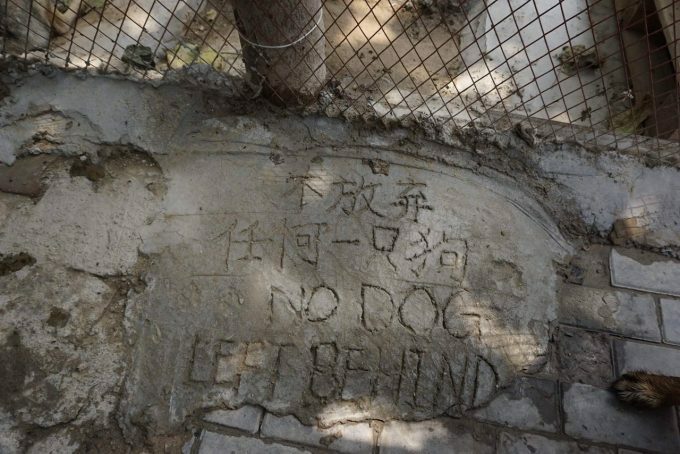 Unfortunately, in the days immediately following the rescue in Guangzhou, rescued dogs had had to be relocated to a secret location when angry villagers stormed the temporary shelter where they were being housed. Some dogs were killed by the villagers who did not want them in their community. A total of 209 dogs were rescued from this facility and were transported 18 hours north to the temporary shelter in Henan Province. The majority of rescued dogs were most likely destined for the dog meat celebration at the annual Yulin festival, which began on June 21. While many believe that the Yulin festival is responsible for most of the dog meat industry in China, millions of dogs are slaughtered in China for their meat and skins every year, particularly in the southern and northeastern provinces. 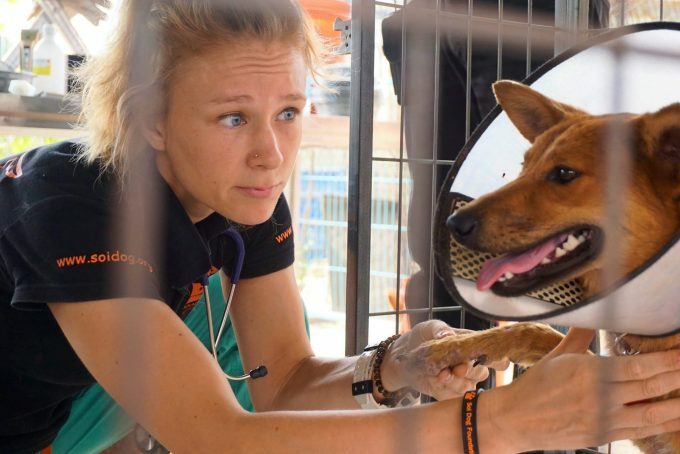 For more information, visit No Dogs Left Behind and the Soi Dog Foundation website.